PhonepayPlus regulate all phone-paid services in the UK. 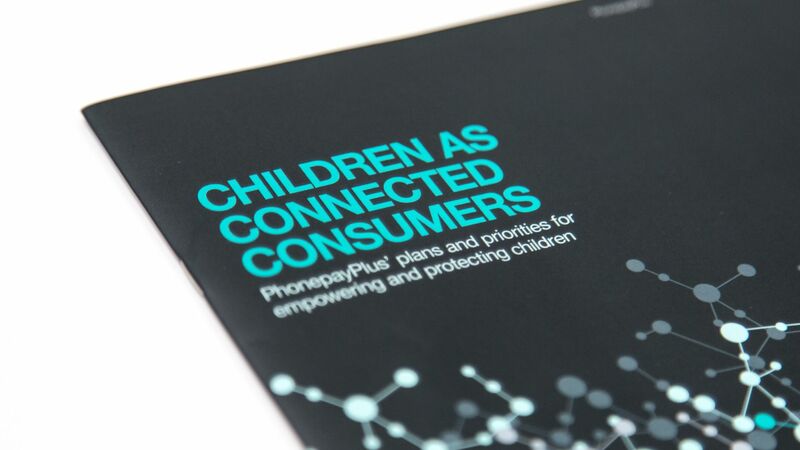 The PhonepayPlus Children’s Plan 2013 was the first of its kind and was written as a guide explaining PhonepayPlus’ role in Child Protection in the context of their use of digital services and devices. 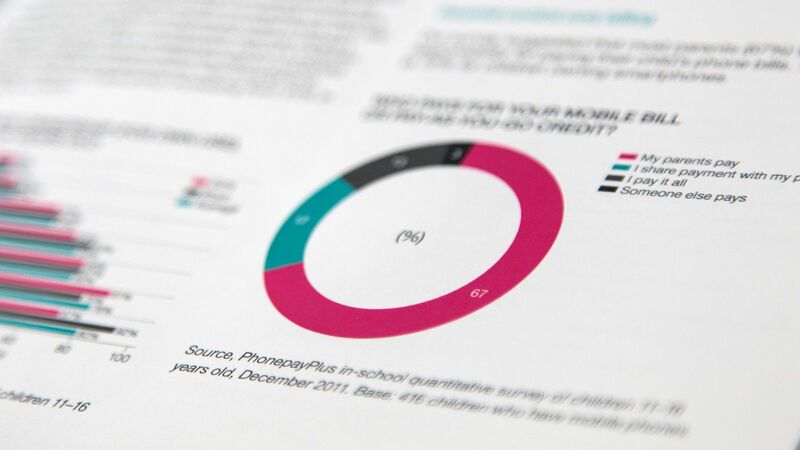 Our job was to transform the client’s word document into a stunning report design. After defining the creative direction for the brief as ‘Joining the Dots’ (serving as a metaphor for the theme of ‘connectivity’), we produced illustrations and colour systems to run through the document. The document styling consisted of a carefully designed typographic hierarchy and grid system, alongside crisp vector visuals to display their statistical information. 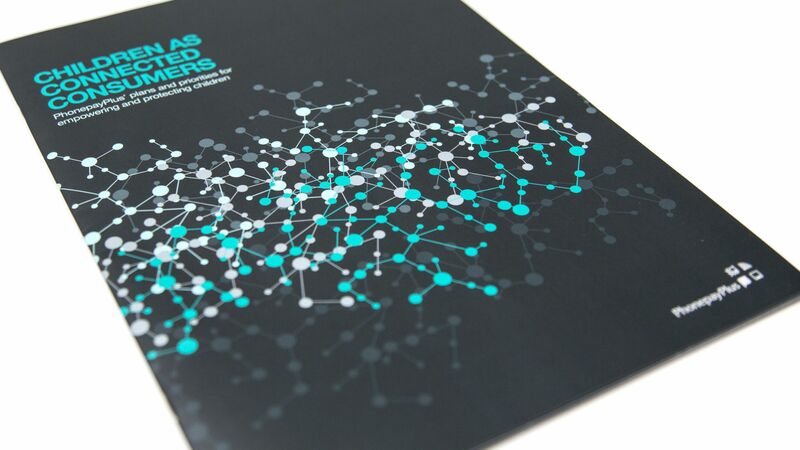 The document was printed using a carbon neutral process on an indigo press, delivering extremely rich and vibrant results.